Charcoal (Black) In-Stock Now!Gold Accent In-Stock Now! 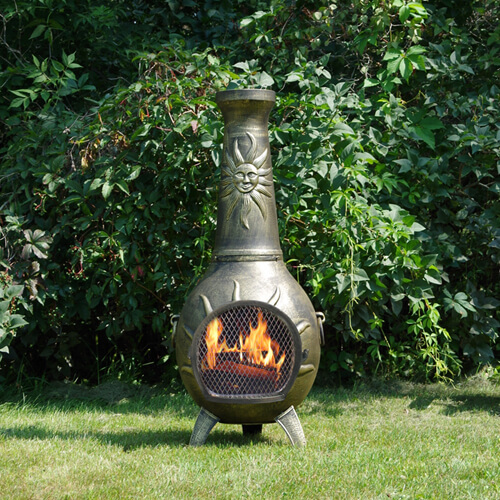 We heard the customer requests for a large size Sun style chiminea and now it's ready to ship. 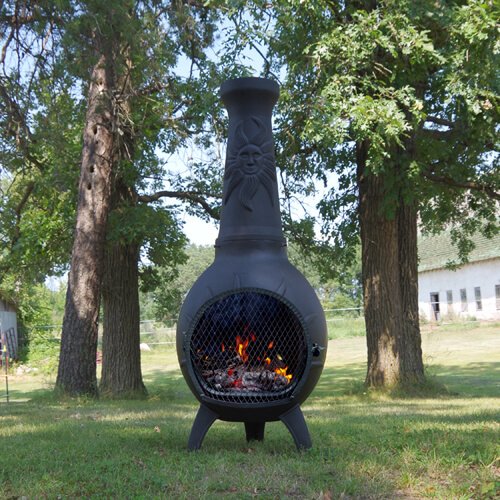 Easy to light and clean burning traditional style chiminea (due to proper drafting), this chiminea continues The Blue Rooster Co. line of unique chiminea designs. 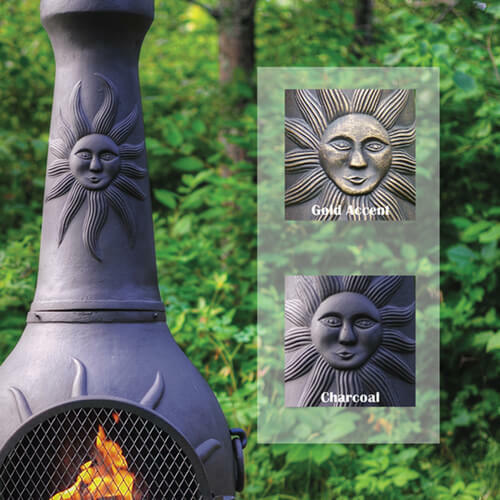 Made of heavy cast aluminum construction up to 3/4 inch thick in some areas, the Sun chiminea is built to last. The Blue Rooster recommends the Charcoal color because of its lasting qualities in a high heat wood burning fireplace application. 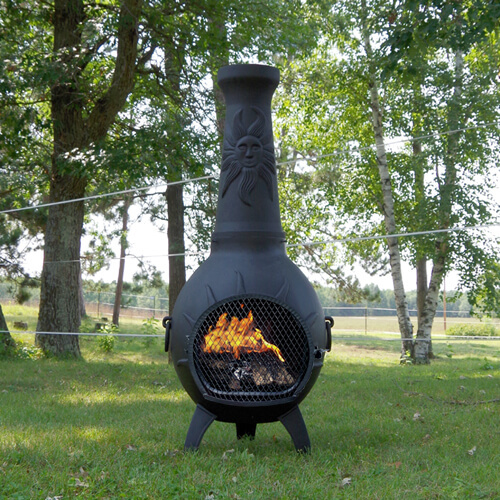 Spark insert included for the chimney and a stainless steel hinged mouth screen to go over the mouth for extra safety. Mouth screen easily swings open for adding wood or toasting marshmallows. Includes a grill grate for late night burgers. Cast Aluminum ALCH029 Approx. 52" x 22"